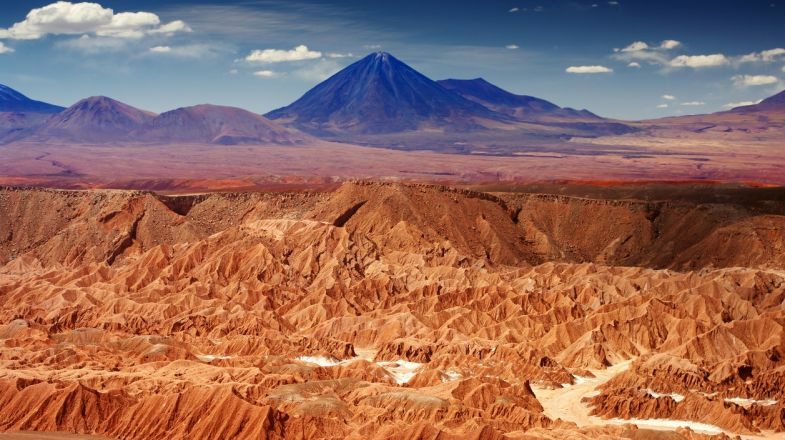 If you’re thinking of going to Chile, then the Atacama Desert might be on your list of places to visit. If it isn’t then it’s about time it made it on that list! 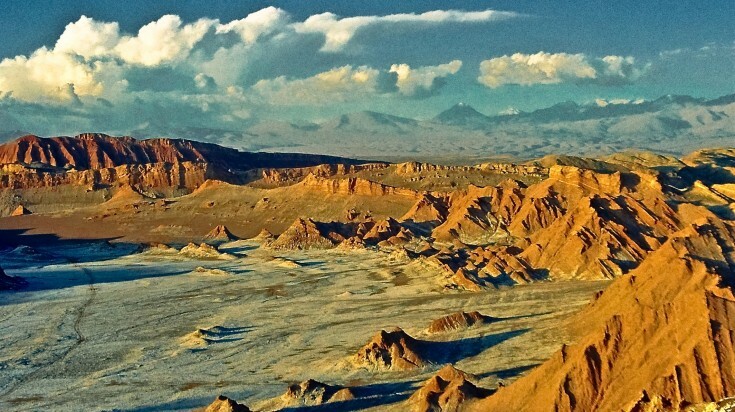 The Atacama Desert is a rare piece of natural beauty, sporting the driest non-polar climate on Earth. With its salt lakes, lagoons (and accompanying flamingoes), geysers and multicolored rock formations it’s a sight to behold. It also has lots of activities for both the adventurous traveler and those interested in archeology. With San Pedro being the main location where travelers base themselves, here are some incredible things to do in Atacama. 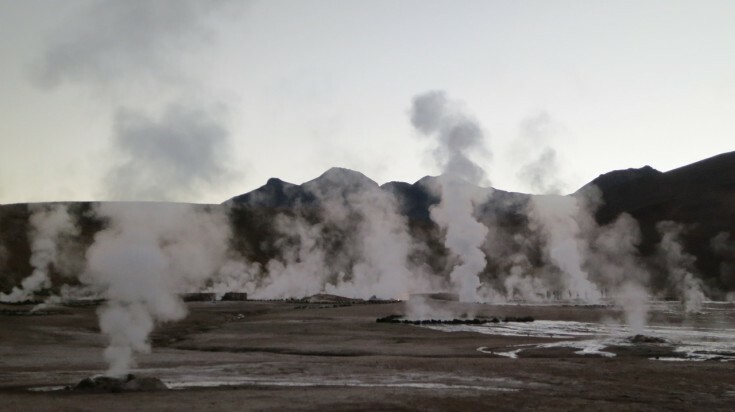 Life starts at dawn, so why not make the most of it and visit the Tatio Geysers as the sun rises? The geothermal pressure is higher at dawn, meaning the geysers are shooting out more water. It’s also at dawn the landscape is shrouded in a mystic beauty, which you might just fall in love with. Distance from San Pedro de Atacama: About 80 km, or two hours by car. Tips: It’s situated at an altitude of 4,320 meters, so beware in sensitive cases. Wear comfortable shoes and bring a bathing suit if you wish to enjoy the hot springs! Prepare for a very chilly morning followed by a hot day. Feel like homemade empanadas? Make a stop at the tiny village of Machuca when heading back to San Pedro de Atacama. If you love beautifully colored rock formations, then you also need to visit Rainbow Valley to see its multicolored hues. As so many other sights in the Atacama Desert it’s an evening affair as the golden hour (just before sunset) and sunset will turn the valley into a colorful work of art. Distance from San Pedro de Atacama: About 61 km - the estimated time to get there is an hour, but reportedly it takes longer due to bad roads. Best time of the day: Golden hour and sunset. Tips: The roads are bad so you’ll need a 4x4 to get there. Moon Valley, aptly named as it looks pretty much like the surface of the moon, is best viewed at sunset when the colors of the valley come out to play. Its distinctive beauty is something you’ll rave about for years. Distance from San Pedro de Atacama: About 5km depending on where you park. Tips: It is best to go on a hike, so bring shoes and be prepared for hot sunshine and the cold that sweeps in once the sun sets. They close the gate for entry at 5pm in winter and 6pm in summer, so just make sure you get there before then (you can exit much later). 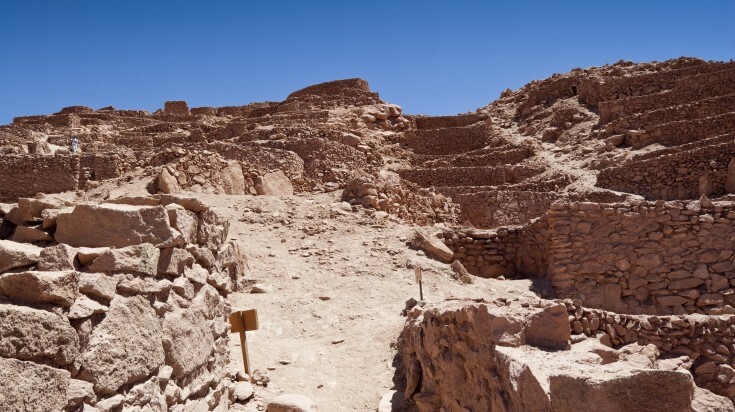 Aldea de Tulor was excavated in 1982 and it uncovered an entire village thought to date back to around 300 BC. 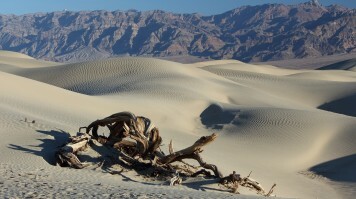 It’s believed the village was abandoned due to encroaching desert sands. There is a museum on site, which is housed in a replica of one of the original mud buildings. Distance from San Pedro de Atacama: 8.4 km or about 12 minutes by car. Best time of the day: 8:00 to 19:00 seven days a week. Tips: Dress properly for day and evening visits. Use a local guide to find out about the site and the flora and fauna. In for some adventure? 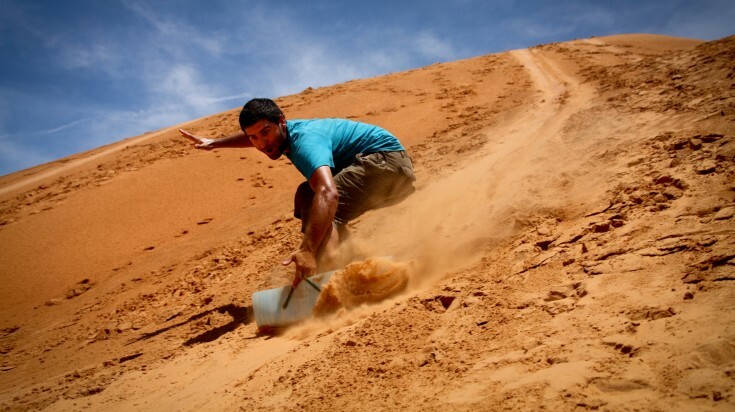 Then sand boarding down 100 meters high dunes in the Atacama Desert might be your thing! Distance from San Pedro de Atacama: About 2 km or three minutes by car. Tips: Wear good shoes and socks and remember you’ll get hot so bring plenty of water. 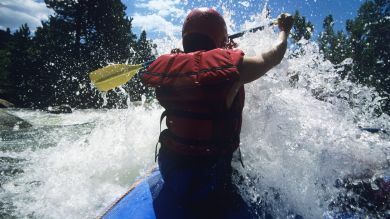 If you are an outdoorsy person, they you will also love to learn about other adventure activities in Chile. 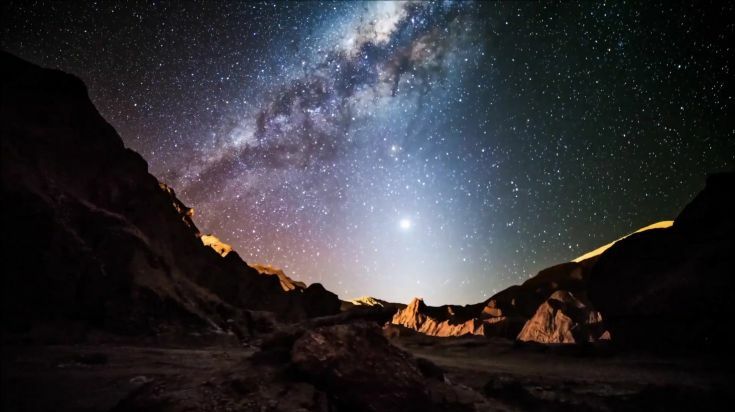 The Atacama Desert is famous for stargazing. Join an astronomical tour, head out with a guide, or stargaze on your own if you already know your way around the Milky Way. You can rent a telescope, or photographic equipment from local tour operators. You can also visit ALMA, an observatory with the world’s most expensive radio telescope. However, it offers (free) day tours only and you have to book for months in advance. Distance from San Pedro de Atacama: Depends on the destination. Tips: Wear good shoes and warm clothes. 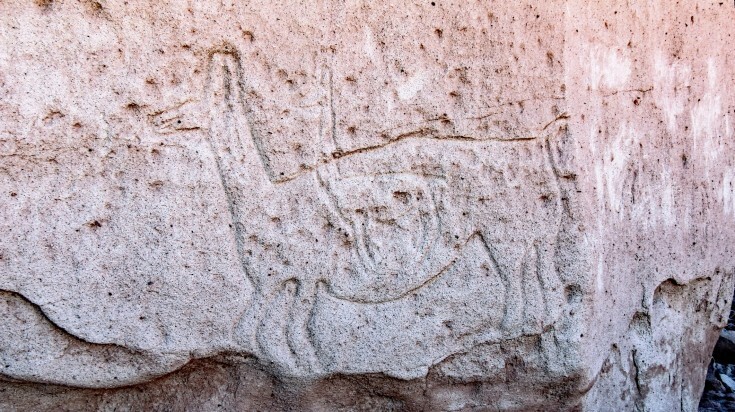 A carving found in one of the rocks in Hierbas Buenas. 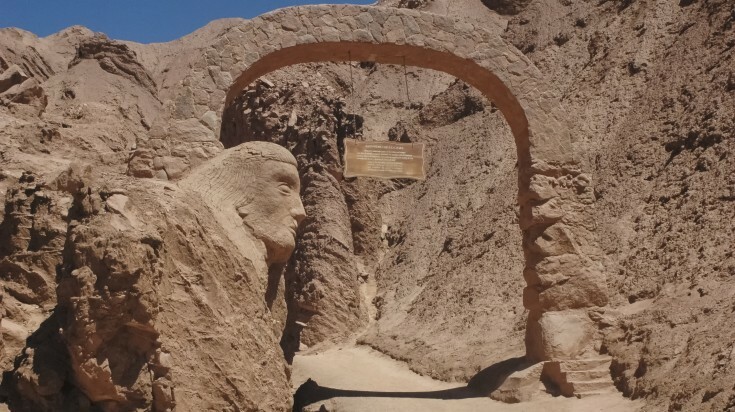 One of the most interesting things to do in Atacama is paying a visit to Hierbas Buenas, where you will find caves with pristinely preserved rock carvings (or in archeology speak: petroglyphs). The reason these rock carvings are so well preserved and why the Atacama Desert in general is such a hotbed for archeology is because of the dry climate, which has preserved items which would have been lost in more humid climates. Distance from San Pedro de Atacama: 3.4 km or about 10 minutes by car. Tips: Visit the nearby Valle del Arcoíris afterwards and catch a nice sunset there. Pukará Quitor is a fortress that was built by the “atacameños" (indigenous people of the area) to protect against the Spanish invasion. It’s seen as another cultural and archeological treasure. Part of the allure is a path stretching from the forest to the top of the mountain where the view is breathtaking! Distance from San Pedro de Atacama: 3.4km or about 10 minutes by car. Tips: During the day, plenty of water, a hat and some light clothing to protect against the sun is recommended. Wear hiking boots if you intend to walk up the mountain. 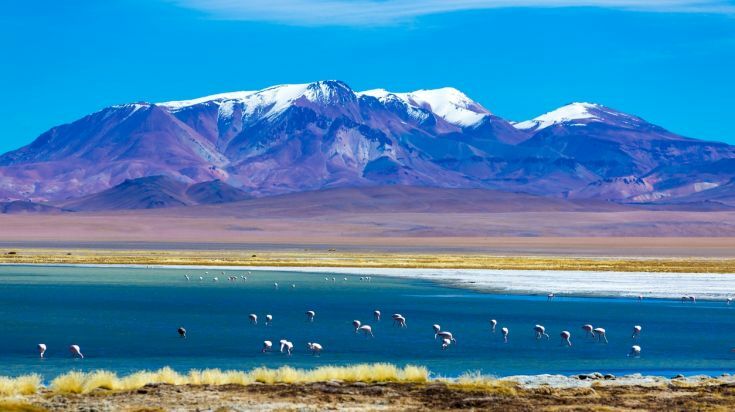 Many list going to see the pink flamingoes as must do when visiting the Atacama. If you wish to see them, Laguna (Lagoon) Chaxa is your best bet and it’s only an hour away from San Pedro de Atacama. If you want to see more lagoons, keep driving after your stop at Laguna Chaxa to get to Miscanti and Miniques, which are possibly the two most stunning lagoons in the area. Distance from San Pedro de Atacama: Laguna Chaxa is about 64 km away - an hour’s drive. Tips: Prepare for a hot long day in the desert if viewing all lagoons, but also for chillier areas on higher altitudes and in the evening. Wear sensible shoes. You’ll need a 4x4 to get to Miscanti and Miniques, as they’re off the beaten path. Salar de Tara, a salt flat next to Piers Rojas (the Red Rocks) is an incredible sight to behold. Sometimes you get to see alpacas as well! Distance from San Pedro de Atacama: 92.3 km or around 2 hours by a 4X4. Tips: It’s at an altitude of about 4,000 meters, so beware of potential altitude sickness. It’s also close to ALMA so you can combine the two activities if you want to. If it is your first time here, get a guide! In short, the Atacama Desert is a unique place on Earth due to its incredible landscape and accompanying night sky. 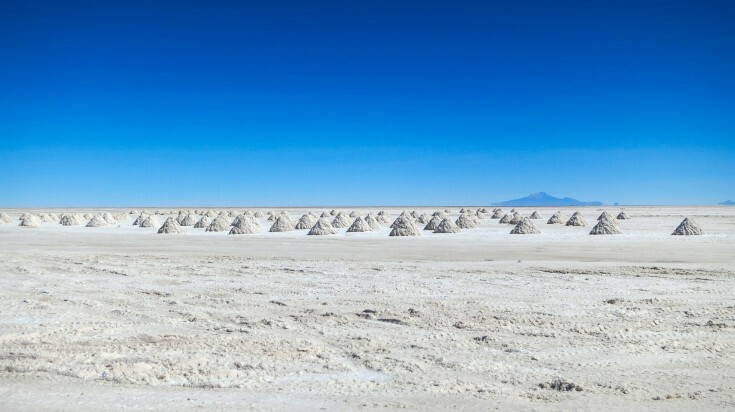 From visiting salt flats and sandboarding to checking out archeological digs and watching a valley turn into a rainbow of colors at sunset, there truly is an incredible array of things to discover. Visit them all on your own, or join a tour that covers all of this place. When you are done exploring the Atacama Desert, try some other acitivites in Chile. 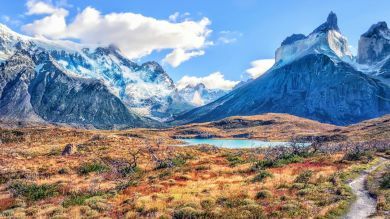 There is so much this country has to offer, most of which are included in our guide to things to do in Chile.